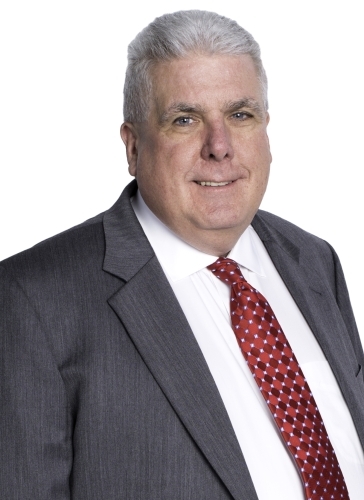 Our President, Donald A. Herndon, is the second generation to our firm. Donald started his career in the funeral service industry during his high school days in the 1960's. After graduation from Walterboro High School, class of 1970, where he was a four year letterman in football, track, and field, he continued his education at the historic Gupton-Jones College of Mortuary Science at the old Bell-Howell Building on Peachtree Street in Atlanta, Georgia. He graduated with the class of 1972, a member of the Dean's List and holding the class office of Sergeant of Arms. Upon return to Walterboro and joining the family business, Donald owned and operated Herndon Monuments for several years. In 1977 Donald married the former Linda Crosby of Walterboro. Donald credits his long history in funeral service from the education received from his father, to ultimately put the needs and wants of the families we serve above all else. He was instrumental in the opening of our second location in the heart of Ehrhardt, South Carolina in 2002; and in 2006, opened the doors to our third location in Varnville, South Carolina. Donald is a member of Doctor's Creek Baptist church where he is a former member of the Deacon Board, the Adult Choir, Assistant to the Treasurer, and a member of the Cemetery Committee. He was a former member of Unity Masonic Lodge No 55, Ancient Free Masons in Walterboro and now holds his membership at Bells Lodge No. 236, Ancient Free Masons. He is a member of the Colleton County Board of Disabilities, The Sons of Confederate Veterans, Camp No. in Walterboro, a Sponsor Member of The National Wild Turkey Federation as well as several other civic and community organizations. Mrs. and Mrs. Herndon reside in Walterboro; and have a daughter Allison and a son Anthony. Linda Crosby Herndon is the wife of Mr. Donald A. Herndon and sits on the Board of The Brice W. Herndon and Sons Funeral Homes. 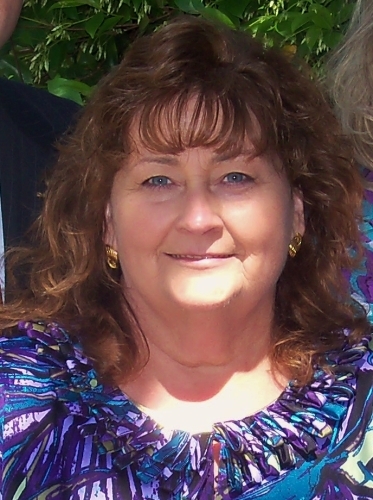 Linda is an American Registered and State of South Carolina Certified Radiologic Technologist. A graduate of the Medical University of South Carolina, class of 1975, she is also registered mammographer, having worked her entire career in the medical profession. 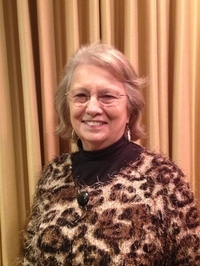 Linda is a member of Doctor's Creek Baptist Church in Walterboro where she is a former member of the Social Committee and the Shepherd's Flock Sunday School Class. She was named Girl of the Year by the Delta Eta Chapter of the Beta Sigma Phi Sorority. She is also a former member and Past Worthy Matron of Walterboro Chapter No. 147, Order of the Eastern Star. She is a member of such trade associations as The American Society of Radiological Technologist. She enjoys her gardening in the spring and touring the Amish Country in the autumn months, as well as the supper club that she is a member of with close family and friends. Stephen Anthony Herndon is the second of three children born to Donald Allison Herndon and Linda Crosby Herndon. He was educated at the John C. Calhoun Preparatory Academy and in the Colleton County Public Schools. Ever since a young age, Anthony dreamed of being a Funeral Director, just like his grandfather and father. When finally old enough, he joined the family business and began to work with his grandfather and father, conceiving the third generation of service to the Walterboro community. After graduation from Walterboro High School, he enrolled at Ogeechee College in Statesboro, Georgia, to receive his Associate's degree in Mortuary Science and was a graduate of the first class. While in school he was employed at Thomas C. Strickland and Sons Funeral Homes in Springfield and Pooler, Georgia on the outskirts of Savannah. In 2008, with a growing need for a dependable monument company quickly arising, Anthony established and opened Herndon Monument Company, Retailers of Fine Memorials in Walterboro. Anthony is an active member of Saint Jude's Episcopal Church in Walterboro where he serves on the Vestry, Altar Guild, and is an usher. For many years he was a member of Bethel United Methodist Church, downtown Walterboro, where he had served as a a member at large of the Administrative Board and the Bethel Chancel Choir. He is a member of such civic organizations as: DeMolay International - Summerville Chapter, Thomas Kinkade Collector's Society, the Benevolent and Protective Order of Elks - Walterboro Lodge No. 1988, and a member of Bells Masonic Lodge No. 236, Ancient Free Masons. He also assisted with the board for Colleton County's annual Rice Festival and has served on the Hospice Care of South Carolina Advisory Board. Anthony is a member of the Board of Directors for Friends of Colleton County Animal Shelter and is very involved in the actives in this community to save and better the lives of animals. Anthony has been described as an outdoor enthusiast. He was a committee member of the Colleton County Chapter No. 10 of Duck Unlimited, Inc. for several years, and was an original committee member of the Friends of the NRA annual banquet in Walterboro. He is a sponsor member of the National Rifle Association of America, a NRA-ILA sponsor, a member of Quail Unlimited, a sponsor member of the National Wild Turkey Federation - Salkahatchie Longbeards Chapter in Walterboro and the Chapter in Hampton, and is a member of the Buck Masters American Deer Foundation. He has a World membership in the National Wildlife Federation, is a member of the National Audubon Society, and the South Carolina Waterfowl Association. He and his father are both members of The Sons of the Confederate Veterans - Colleton Rangers Camp No. 1643. He is a member of the American Watercraft Association, and boating is his usual Sunday afternoon pastime. He also enjoys many off-shore fishing excursions aboard his vessel off of Edisto Beach, South Carolina. Anthony resides in Walterboro with is beloved lab, Copper. Allison Ruth Herndon is the first child born to Donald and Linda Herndon. 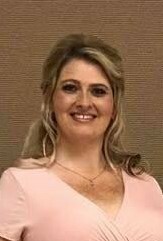 She is a graduate of Walterboro HIgh School, class of 1996 where she sang with the WHS Singers and performed several lead character roles in several musical productions. She attended Charleston Southern University where she was majoring in Music Therapy until realizing that her calling in life was to serve others in their time of need through funeral service. After coming on board with her father and brother, Allison attended and graduated with her funeral service degree from Ogeechee College in Statesboro, Georgia where she was on the Dean's List her entire time there. While in mortuary school, Allison was employed with Thomas C. Strickland and Sons Funeral Homes in Springfield and Pooler, Georgia on the outskirts of Savannah. Allison is an active member of Green Pond Baptist Church where she is a member of the adult choir, the Women's Missionary Union. Allison possess a beautiful soprano voice is visits very often with the choir at Saint Jude's Episcopal Church and many other churches in the area. Allison resides in Varnville, South Carolina. Geoff Atkins brings years of experience and knowledge to the Brice Herndon family. Geoff graduated from Greer Senior High School and received his B.A. from Furman University. He also received his Associate of Mortuary Science degree from Gupton Jones College. 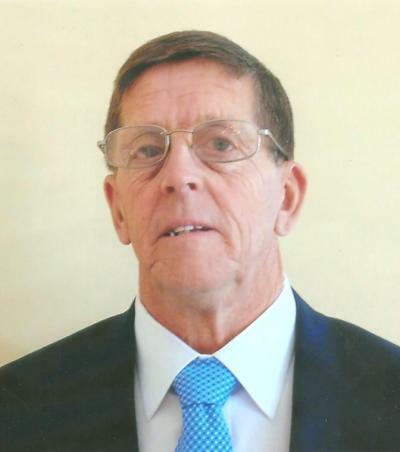 In addition to his formal education, Geoff's years of experience working in various roles within the funeral profession have made him extremely knowledgeable about funeral preparations and arrangements. 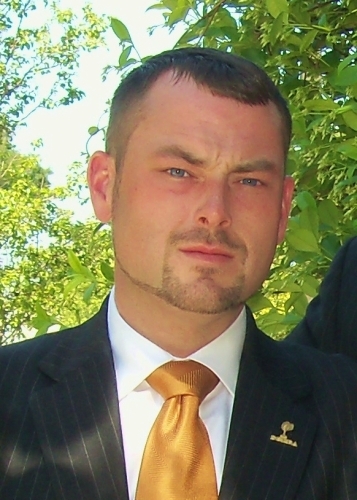 Before he became a funeral preplanning specialist, Geoff worked in various different roles in the funeral industry. 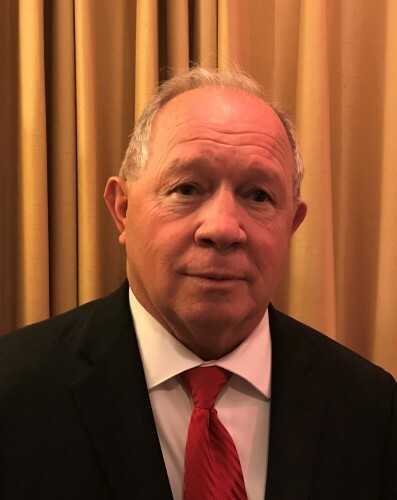 Geoff has served as a funeral director, worked as a supplier for a combined twenty years with Wilbert, Inc. and Charleston Wilbert, a burial vault and crematory service, and has worked with a number of funeral homes in South Carolina over the years. Geoff entered this profession because he enjoys meeting and helping families. He finds that assisting others in their preparation for a difficult day is extremely rewarding. Geoff advises individuals and families to make decisions ahead of time so that they can answer questions and provide input in order to create a meaningful and unique service that is representative of their life. Johnny has been a part of our family for many years. Prior to his coming on board with us, he was as an assistant manager at Big Star in Walterboro where he worked for sixteen years before becoming the manager of Prine's Provision and Company in Walterboro where he retired after thirty-four years of loyal service. He is a lifelong member of Ebenezer United Methodist Church in Ritter, where he is the Sunday School Superintendent, Sunday School Secretary, and the Building Fund Treasurer. He also served his country faithfully in the United States National Guard. He is a member of the Men's Breakfast Club. He and his wife Linda reside in Walterboro. Danny Crapse, Sr. is a native and resident of Hampton, South Carolina. Following his retirement from Nevamar in 2014, he joined our staff. A Past Master of Evergreen Masonic Lodge, No. 153, he is also a Past President of Jahab Shrine Club. He is an active member of Sand Hill Baptist Church where he serves on the Deacon Board. Danny enjoys coaching little league football as well as camping trips with his family. He is married to Geraldine Skinner Crapse and they have two children, Danny, Jr. and a daughter Gerri and her husband Eddie. They also have a grandchild, Payton. Jimmy "Bubba" Trippe joined our staff in 2015. Chuck Walker is a Walterboro native and a graduate of Walterboro High School. He served in the United States Marine Corp and is a Vietnam veteran. Chuck served fifteen years on the Colleton Rural Fire Department and Rescue Squad and held the rank of Battalion Chief and was a certified Emergency Medical Technician. He retired from Wells Fargo Bank in 2014 after working for over forty years in the financial services and banking industry. He has been actively involved in the Walterboro community serving as President of the Walterboro Lions Club and is a member of the Walterboro Civitan Club as well as the Walterboro Jaycees. He also serves Colleton County as a Deputy Coroner. Chuck is one of the original members of Nova Church in Walterboro and serves as a church Elder. After his retirement in 2014, Chuck felt a sincere desire to continue helping others and felt a calling to do that through assisting others during their most difficult times in life. 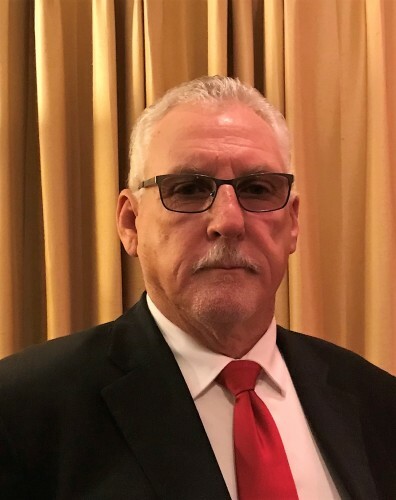 After serving a few years in this industry, Chuck joined our staff in early 2018, and assists with the day-to-day operations of our funeral chapels as well as our crematory location. Chuck and his wife, Rosalind have three children and seven grandchildren. Gilda Turner Barnwell is a visible part of our staff during evening calling hours for visitations. A native of Walterboro, she graduated from Walterboro High School before receiving her education from Winthrop College. She worked at the Coastal Center and the State Hospital as a Vocational Rehabilitation Counselor before marrying and moving to Athens, Georgia. While in Athens, she was an active member of Saint Gregory the Great Episcopal Church for twenty-five years where she was a member of the Vestry, Altar Guild and served as chairman of the Altar Guild, Pastoral Care Team and various other committees within the church. Her primary focus at work was to provide counseling and guidance to handicapped individuals to enable them to go to work or return to work in spite of handicapping conditions. She was recognized by her peers when presented the Georgia Rehabilitation Counselor Association "Counselor of the Year" award and was also recognized by the business community as "Woman of the Year" while serving as President of the Athens Junior Woman's Club. She returned home after retiring and has continued to give back to her beloved community as she did in high school and in Athens. She is an active member of Saint Jude's Church on the corner of Fishburne and Wichman Street in Walterboro, where she is currently serving on Vestry, Altar Guild and is also the chairman for the Altar Guild, Usher Board, and other various committees within the church. 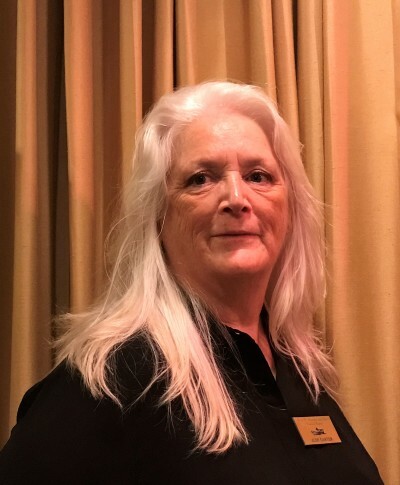 She is a member of Mayfield Garden Club where she has served as Secretary and President, Colleton County Historical and Preservation Society, Colleton Museum and Colleton County Memorial Library. A talented artist, she was juried into the South Carolina Artisan Center in 2011, an honor only held by a select few in the Lowcountry. She also is currently the President of the Board of Disabilities and Special Needs. Gilda has a son and daughter-in-law in Memphis, Tennessee. Among her pastimes are reading, knitting, gardening and playing with her dog, Bailey. Ruth Craven Ramsey has served our company in many capacities over the years, having began with us as the Chief Administrative Assistant. In 2009 when entering semi-retirement, she was moved to the position of Administrative Assistant to the Chairman of the Board, where she handles many of the behind the scenes paperwork and administrative procedures and is chiefly responsible for the pre-need accounting. Ruth retired as the Housing Director for the Beaufort Naval Hospital. She along with her daughter owned and operated Ruth's Dress Shop in the heart of Walterboro for several years. Ruth is a member of the Green Pond Baptist Church where she is active in Sunday School and the Women's Missionary Union. Ruth and her husband Jimmy reside in Walterboro. She has three daughters, five grandchildren, and two great-grandchildren. 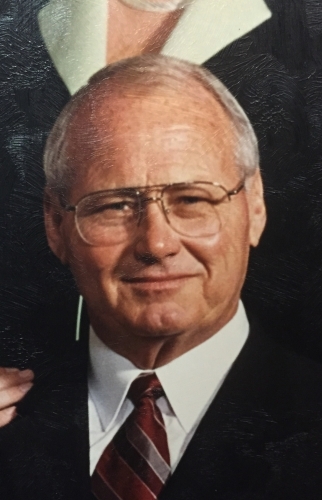 Jimmie V. Ramsey is the husband of Ruth C. Ramsey and the father of Mrs. Linda C. Herndon. Jimmie primarily assists with our Walterboro Chapel. He is retired form the United States Air Force as well as the United States Naval Weapons Station in Beaufort. He worked many years overseas managing fuel farms for Halliburton having served in such places as Bosnia, Hungary, Alaska, Kuwait, and Somalia to name a few. A licensed pilot who has owned several private air-crafts over the years, he is a member of Green Pond Baptist Church. Rudy has been with our company since 2007, primarily assisting with our facility in Varnville. Rudy is a graduate of Wade Hampton High School in Hampton and is also employed with Bootle Air Systems in Beaufort. He is a member of Oak Grove Baptist Church in Grays, where he is currently Chairman of the Deacon Board. He is a member of Gideons International in Hampton. He and his wife Leighann have four children.